Hekima Place is a home for orphaned and vulnerable girls in Kenya, many of whom have been orphaned due to the devastating impact of HIV/AIDS. Founded in 2005 by Director Kate Fletcher, Hekima Place is now home to 86 girls who range in age from infants and toddlers to university students. Hekima Place is directly inspired by our founder Kate Fletcher’s example of service, compassion, and faith. With our focus on education and learning, we strive each day to live out our name hekima, the word for “wisdom” in Kiswahili. Hekima Place has become a constant, stable refuge and resource for our girls—and we remain committed to doing all we can to give them happy, productive futures. Some children’s homes in developing countries lack the resources to give each child individualized care or a sense of family and home. Hekima Place was designed to provide an intimate, family-like environment: our campus is made up of small cottages; evening meals are communal; and we travel as a family to school, church, and other outings. 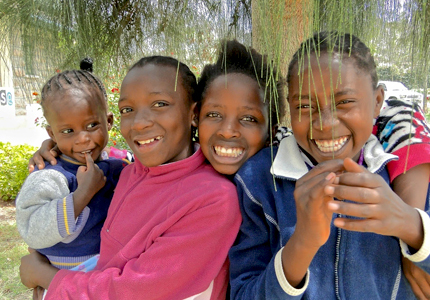 Dedicated, full-time Kenyan housemothers (“mums”) care for and provide guidance for the younger girls, and older girls have chores in their own cottages and around the campus, including helping to care for their younger sisters. Meanwhile, visitors from around the world come to share their time, energy, and love, often becoming friends and mentors to the girls for years to come. We believe every child is deserving of love, dignity, and care. We are committed to giving our girls the opportunity to thrive and to grow into happy, productive adults. We invest in the mental, emotional, and spiritual well-being of all our girls, at whatever point in their lives they reach us. Our girls’ successes, despite the profound losses and hardships they have faced, are a testament to the love and care each child receives. "My life before Hekima Place was terrible... Because I was the oldest, I had to act like the mother... I stopped studying so that I could take care of my sisters." Interested in learning more about our campus in Kiserian, Kenya? 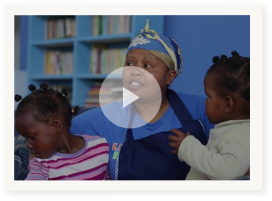 Watch our video about our work to help our girls and the local community. We are grateful for your prayers and support, and we invite you to learn more about our work to transform the lives of girls in Kenya!